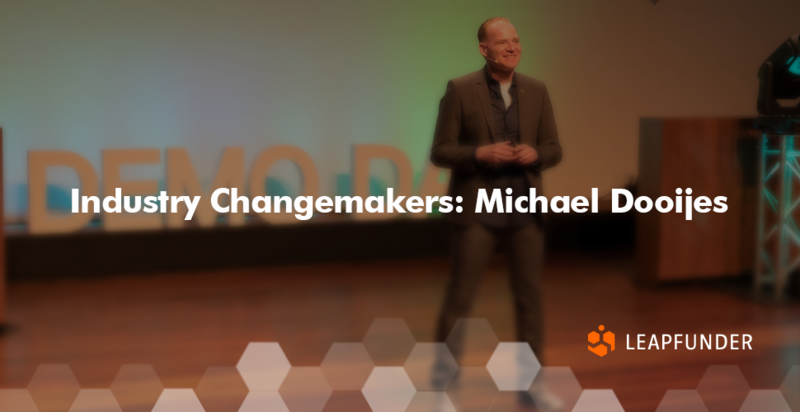 We talked to Michael Dooijes, the Co-founder and Managing Director of Startupbootcamp’s FinTech & CyberSecurity program, who is passionate about how innovation can impact the lives of millions. With his involvement in the startup ecosystem, he is trying to bridge the gap and help transition the industry into being more mobile-enabled. Find out what is it about FinTech that particularly attracts him, how he sees the Dutch FinTech scene and what are the FinTech trends he predicts for this year. 1. Hi Michael, thank you for agreeing to do the interview. Can you tell us a bit about your background and what is it about FinTech that particularly attracts you? In the last 20+ years, I’ve lived and worked in various countries, including the UK, Spain, Germany, Austria, Italy, Portugal, Latin America, and the Netherlands, active in international business and sales management roles. Until mid-2016, I was Head of Ventures & Innovation at Rabobank Netherlands Bedrijven, looking after Rabobank’s strategic direction in commercial banking. I was also a member of Rabo’s innovation board. My key responsibilities included strategy, client-centric innovative solutions, and business development. Next to this role, I was the CEO of mobile payment startup, MyOrder, purchased by Rabobank in 2012. 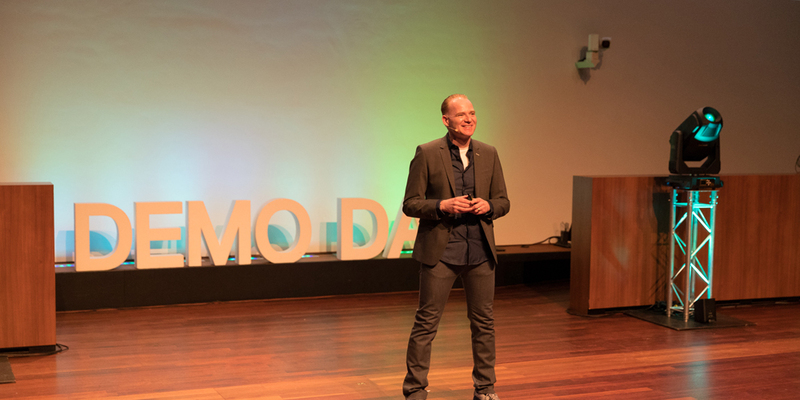 Then in early 2016, I decided to take up a new challenge, as the Co-Founder and Managing Director for Startupbootcamp’s new FinTech & CyberSecurity accelerator program in Amsterdam, which has been an incredible ride. I’m also currently working on launching a new FinTech accelerator program for Startupbootcamp in Frankfurt. I’m passionate about how innovation can impact the lives of millions, and how we can bridge the gap and help transition the industry into being more mobile-enabled. I also regularly speak on topics such as corporate innovation, digital transformation, entrepreneurship, and the future of FinTech. 2. What were some of the most promising innovations from startups that went through SBC’s FinTech & CyberSecurity program? How do you guide these startups? We interact with hundreds if not thousands of startups each year, and we see a lot of innovation happening. The companies participating in our growth program this year were chosen out of 500+ applications from 73 countries internationally. Selected teams are on the cutting edge of the most exciting areas of FinTech, InsurTech, and CyberSecurity, enabling technologies such as Machine Learning/AI, Blockchain, (Behavioral) Biometrics and API’s. We get actively involved with each of them and it is a very hands-on approach supported by over one hundred mentors and industry experts involved in the program. Corporate-startup collaboration lies at the heart of Startupbootcamp. We actively partner with global and local large-scale organizations for our accelerator programs and facilitate collaboration between the world of startups and the corporates. 3. How do you see the Dutch FinTech scene in comparison to other parts of Europe and the US? How is FinTech influencing the financial services industry, and how can traditional financial players embrace the rise of FinTech companies? The FinTech scene in the Netherlands is growing at a rapid pace, which clearly showcases itself in the great support we’ve received from all the corporate partners of the program, but the ecosystem is much larger irrespective of any country borders. We are excited to be involved in a forward-thinking program, which is transforming the financial industry of the future. 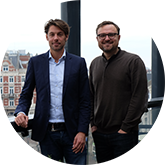 With the majority of the selected teams coming from outside of the Netherlands, we are also expanding our footprint internationally, which further boosts the FinTech community in the region. 4. In the past few years, it became clear that the financial services industry can truly prosper if financial institutions and FinTech startups join forces. What do you see changing the most as a result of such relationships? We work with the largest banks, insurance companies and financial leaders in our FinTech & CyberSecurity program. Support from Startupbootcamp partners, such as Rabobank, ING, ABN AMRO, Moneyou, PGGM, De Volksbank, Achmea, Nationale Nederlanden, PwC, Vivat, Capgemini, Comsec, and de Nationale Politie, really accelerates this process. These corporates have run many pilots and partnerships with our startups. From small ones to nationwide campaigns. Of course, with larger innovations, you need to have the buy-in from the C-level. We therefore actively involve our partners as ‘Intrapreneurs in Residence’ during the startup selection process and throughout the program, so they can validate the content of relevance and make sure the startups talk with the relevant internal stakeholders from the start and guarantee a strategic fit. 5. Which FinTech trends do you predict for 2018 and why? Both FinTech and CyberSecurity are the hottest areas of startup innovation and investor focus because they are at the heart of huge industries, which will transform in the coming years. CyberSecurity is now a board-level consideration and is becoming a way of life for basically everyone. In CyberSecurity, Biometrics/Authentication is one of the key focus areas. One of the reasons why this is growing is Apple’s release of the iPhone X. With FaceID as an alternative to TouchID – we are able to identify the user’s face with high resolution for biometric verification. Apple is making us more comfortable with the technology that has been there for decades already. The UX is rapidly changing how we identify ourselves. We’ve seen a number of startups active in this space: iProov and ObjectTech are some of the most promising. Another thing we see is startups that focus on ‘security by design’. More and more people are saying you should be liable if you don’t build a software with security by design in mind. So, we saw companies that have ethical hackers to test your software and others that help you find if the malicious content was inserted into your code (TrippleCheck). In FinTech, we see a trend of more and more so-called “impact” startups, focusing on financial inclusion and well-being. A clear trend in the FinTech space. Going beyond banking and providing new (value added) services remain a clear focus, with industry players looking for innovations around the transaction and creating new business models. Also, the rise of challenger banks. They are putting the focus on new market segments, the unbanked, the underserved or even directly targeting existing customers at other banks. We can’t talk about FinTech without mentioning blockchain, one of the biggest disruptors, definitely not limited to FinTech of course. It’s a decentralized model leveraging evidenced-based trust, which makes transactions transparent to all (if the blockchain is public). It has the potential to cut out the middleman. It relates to lack of trust between parties. And that is why it’s so disruptive as it creates new business models. Blockchain is interesting as it also provides an incorruptible log so it can help against the infiltration and for identity management for example. The full potential of the technology hasn’t been tapped yet. We still need to see more initiatives offering practical ways of using this technology. We’ve seen quite a number of companies in the space, but selected just a few. I am sure it will be the engine for many services in the longer term. We see it being applied to other verticals now like pension/wallets & loyalty, and even insurance. Still an important and disruptive technology. Another trend is that the industry wants to bake intelligence as an essential layer into many of their core products. The ability to use AI to make service as personal as possible. We see quite a few startups in this space. We’ve seen it more than before with a focus on UX, through chatbots/robo-advisors. With a better way to talk to your customers. One way to leverage AI is hyper-personalisation, where the content of my Google app is totally different from yours. Huge amounts of data can be collected, with real-time visualisation and personalised analytics in minutes. We also saw startups that use AI and predictive intelligence to identify threats early on, with software that automatically executes security protocols and lots of deception technology. Obviously, our focus is both B2B, retail and infrastructure plays, but I still wanted to mention this as it is all about the changing appetites and customer behavior of consumers. This reminds us that all developments in FinTech illustrate that we are dealing with a fast-changing world that moves us away from the product to a customer-led world, adapting to these changing appetites and behavior. Thank you for your insights, Michael! We wish you the best of luck in your future endeavours.